For many years, the Fire Fighter Combat Challenges (FCC) staged in Europe used only simple and shaky scaffolding constructions. 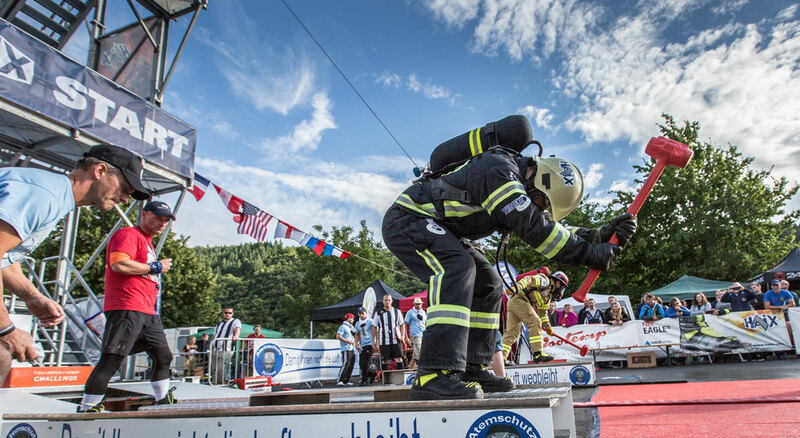 At the 1st Mosel FCC in 2014, HAIX began its sponsorship of a new and solid steel tower. The project was realised by an organising team led by Gerd Müller and Christian und Daniela Follmann. 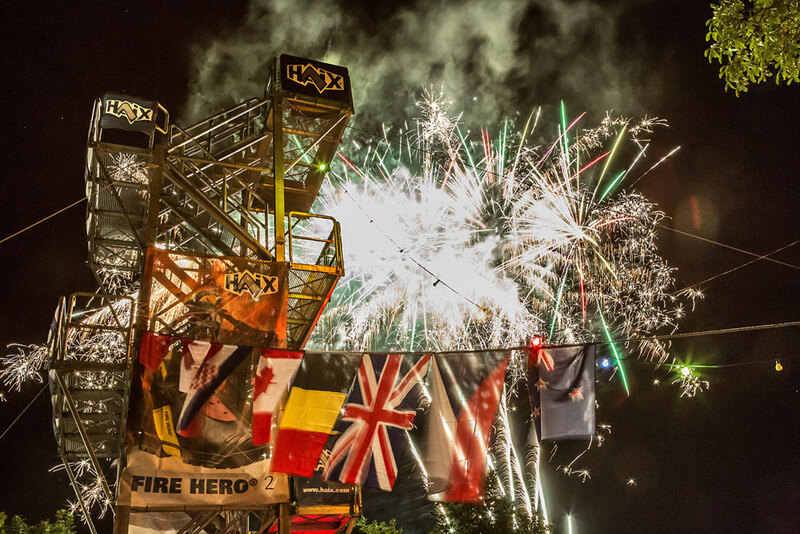 Since this time, the HAIX TOWER has been the most familiar structure on the sporting fire fighter scene. The tower is over 12 metres high and has three storeys (six if the levels are offset). It weighs around 20 tonnes and is in use in Germany, Belgium, Austria and Slovenia. Fixing takes place on an area measuring 10 metres by 10 metres using four anchoring points each able to bear 7.5 tonnes. The tower is accompanied on its travels by the HAIX Tower Crew, which coordinates and implements transport and erection. At this point, let us give them a generous round of applause. Team and relay event also take place alongside individual competitions. 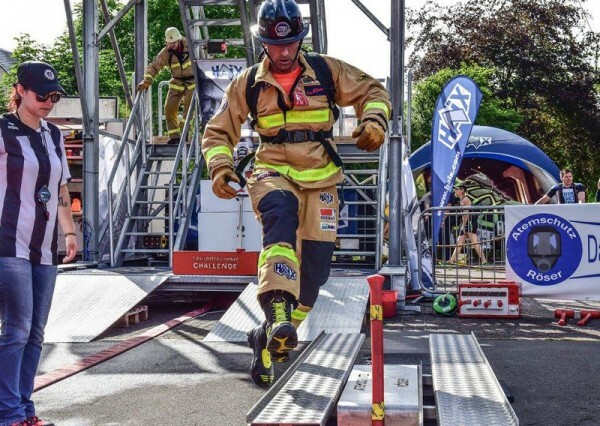 The world record of 1 minute 16.83 seconds was set by Justin Couperus from the Hamilton Fire Department at the World Championships in Alabama in 2015. 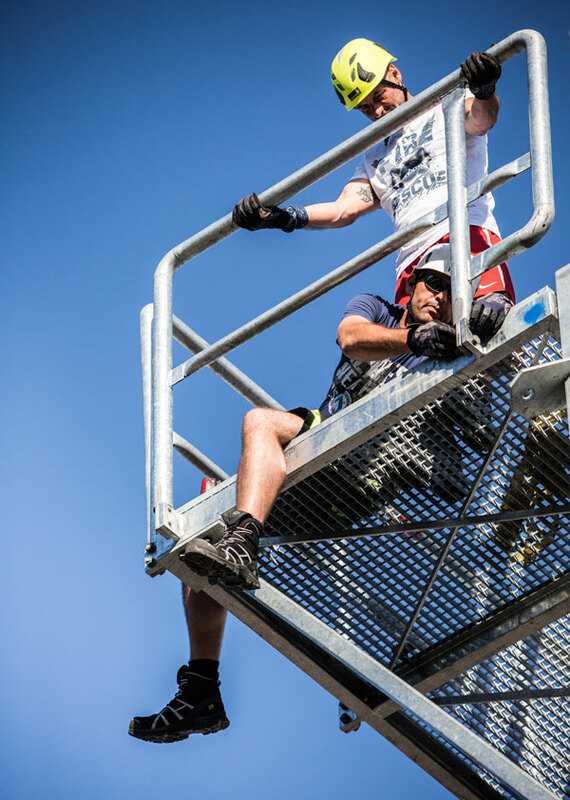 Step 1: A hose package weighing 19 kilos has to be carried to the top of the 12-metre tower. Step 2: A hose weighing 19 kilos is hoisted up the tower on a line. Step 3: The competitor descends the steps again and must use a sledgehammer to shift a 72.5 kilo weight in a controlled manner by 1.50 metres. Step 4: A slalom run of 42.5 metres in length then has to be completed. Step 5: A hose must subsequently be dragged for 23 metres before the nozzle is opened to release water onto a target. Step 6: Finally, a dummy weighing 80 kilos needs to be rescued and carried 30 metres over the finish line.